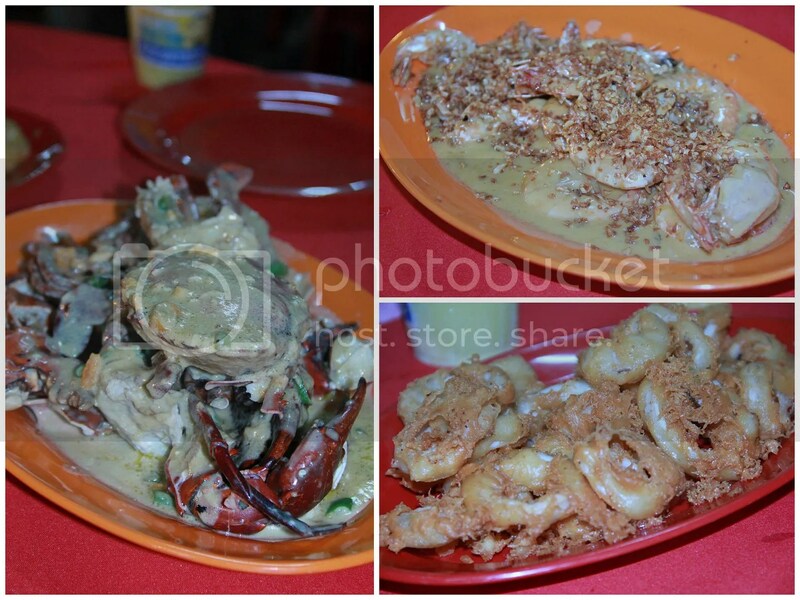 Visit tourists spot, take photos like a tourist, eat like a tourist, speak like a tourist……. After visiting Zoo Melaka, to watch giraffe..we head to Melaka town. It was on weekday, so the crowd was lesser compared to peak seasons ie: long weekends. 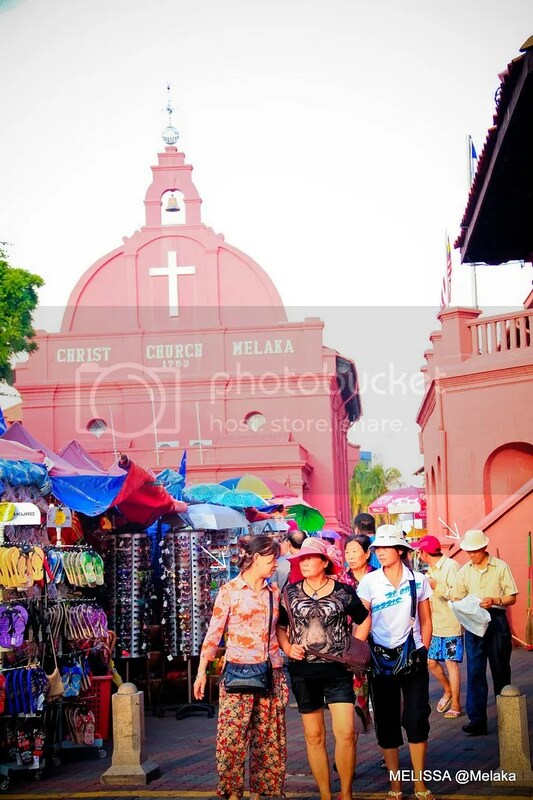 Melaka is known as “Bandar Bersejarah” (Historical Town). 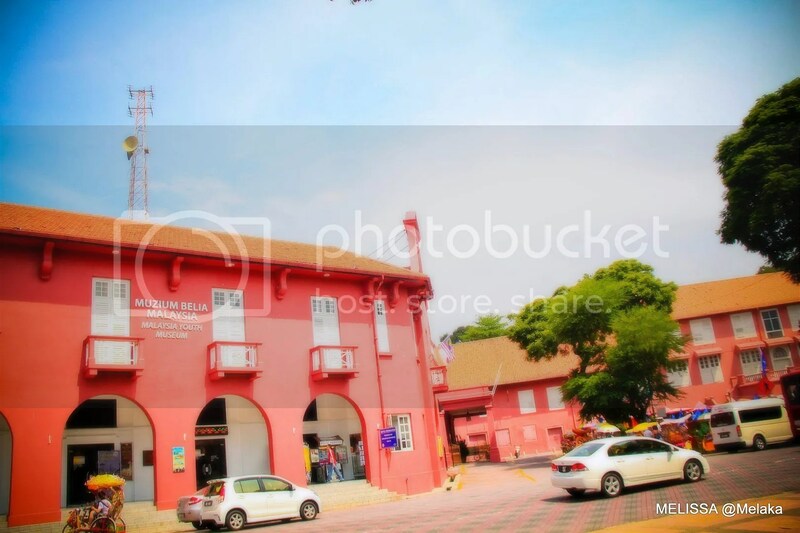 Therefore Melaka is commonly chosen as the location for ‘rombongan sambil belajar’ during my school days. Is your school the same too? 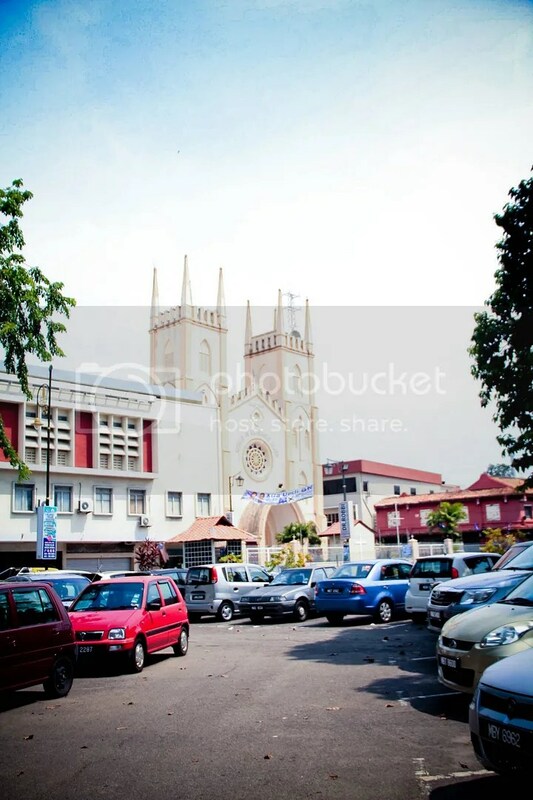 We parked our car at this open air car park opposite St. Francis Xavier’s Church and walk over to Jonker Street for lunch. Hmm…not far..just about 5 minutes of walking distance. 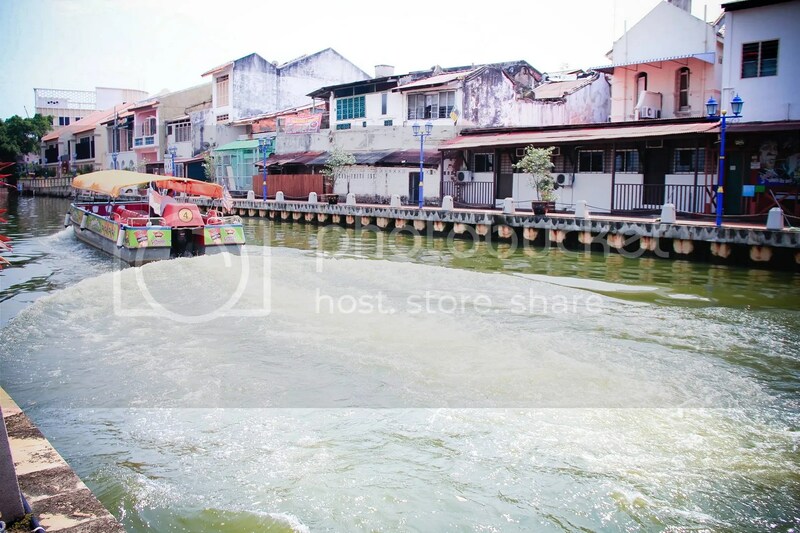 Boat ride at Melaka river. Not sure what’s the price for a ride. Noticed some new hotels here. 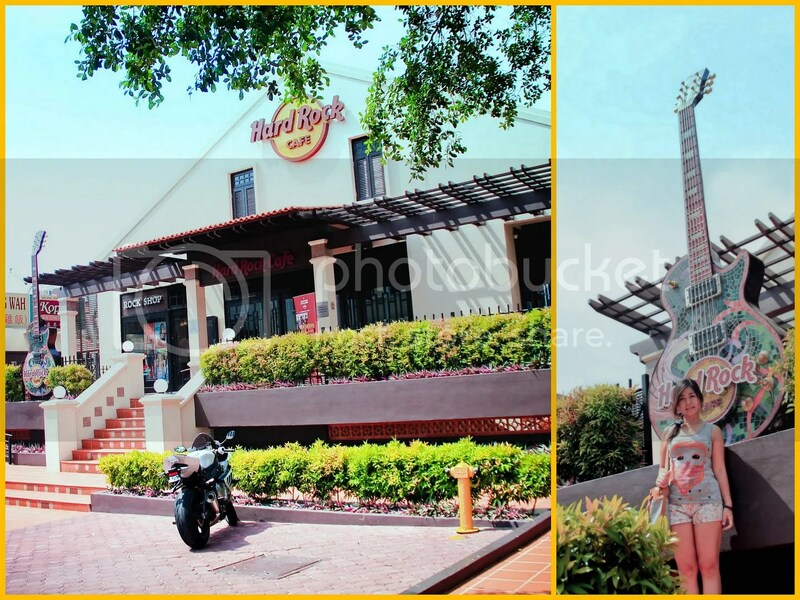 Wow….Hard Rock Cafe is now at Melaka! 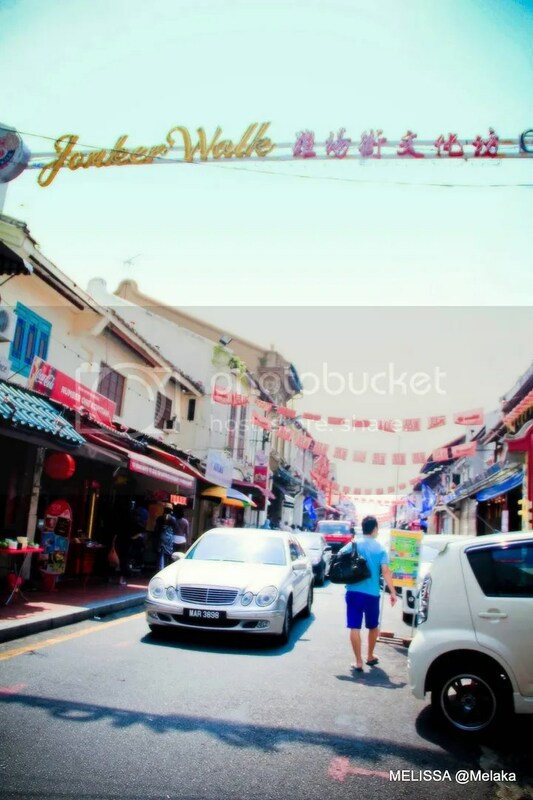 At Jonker Walk on a sunny afternoon. We wanted to come here for lunch. 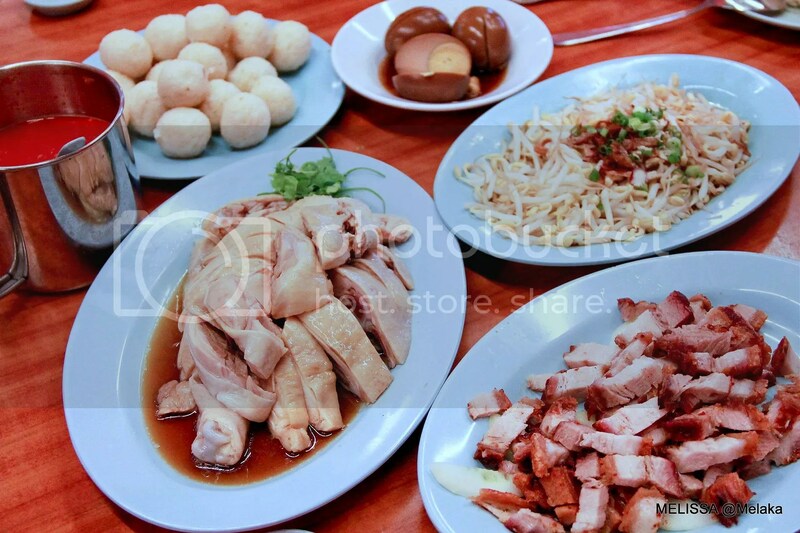 At Hoe Kee Chicken Rice to let my friends savor the Chicken Rice Ball. Too bad their chicken rice ball has ran out of order. They only have loose rice. Which I thought it wouldn’t be any special if we order loose rice. So, we decided to go to another shop. 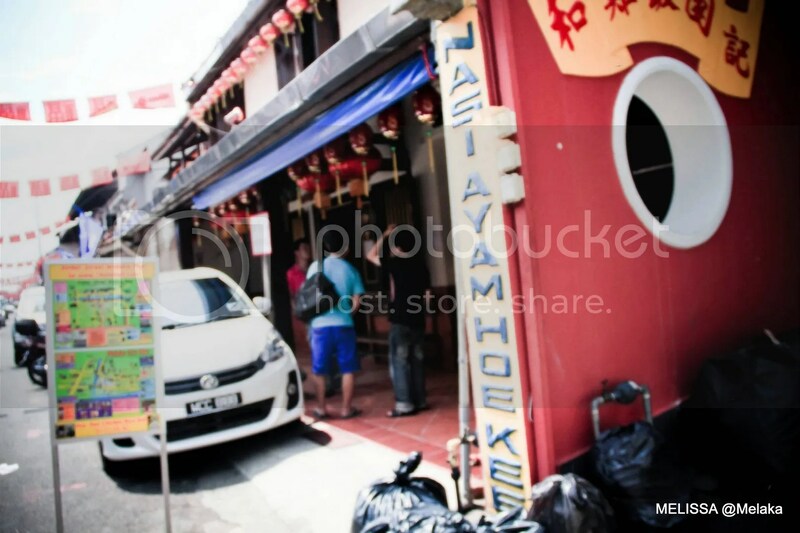 If I’m not mistaken, there are 3 or 4 shops serving chicken rice ball at Jonker Walk. Perhaps there are more. 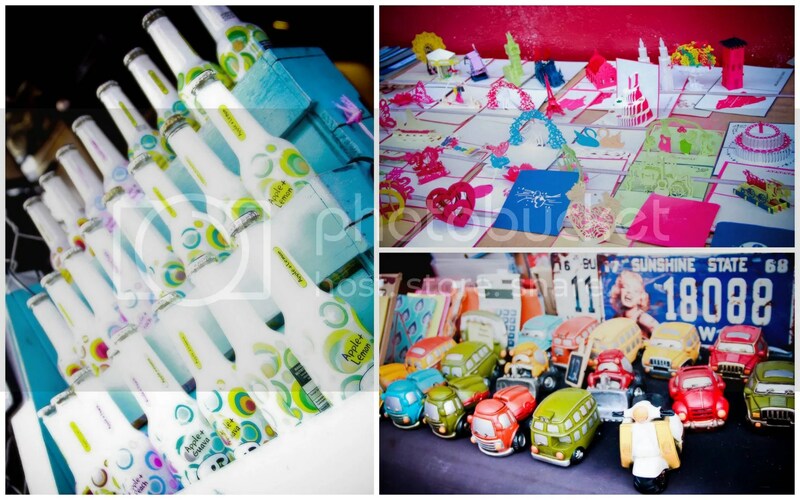 Fancy stuffs that I’ve spotted along Jonker Walk. They are for sale. 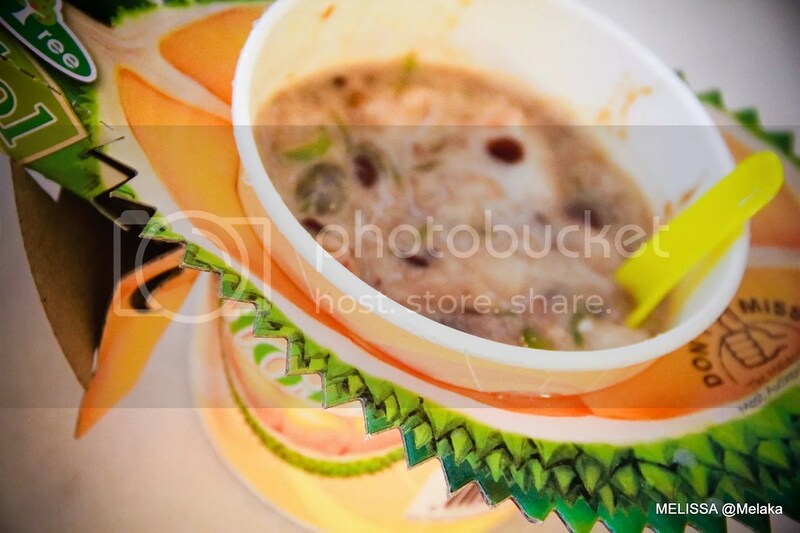 This is one of my favorite Durian Cendol at Lao Qian Ice Cafe located at Jonker Walk. 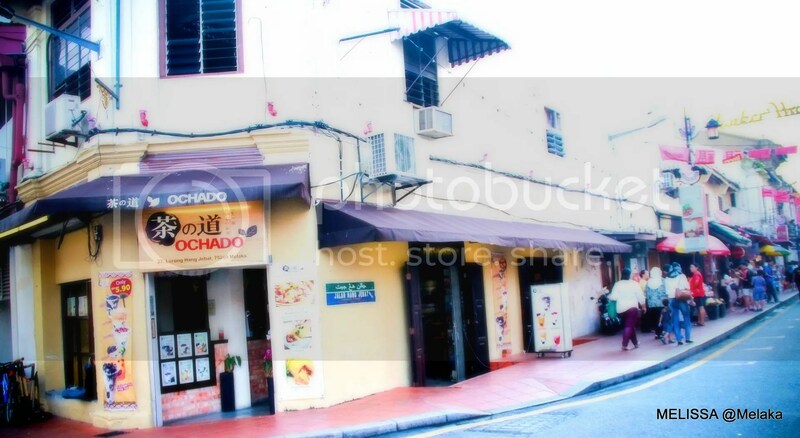 Ochado is now available at Jonker Walk! 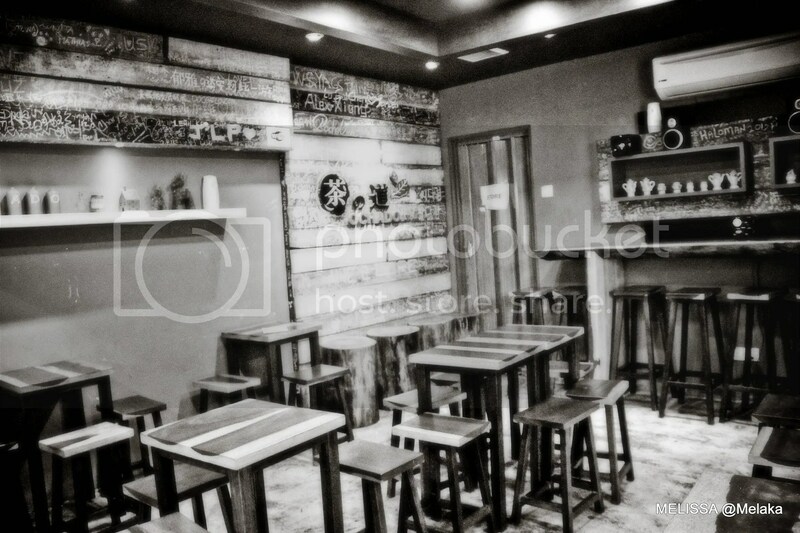 I like its nostalgic furnishing. 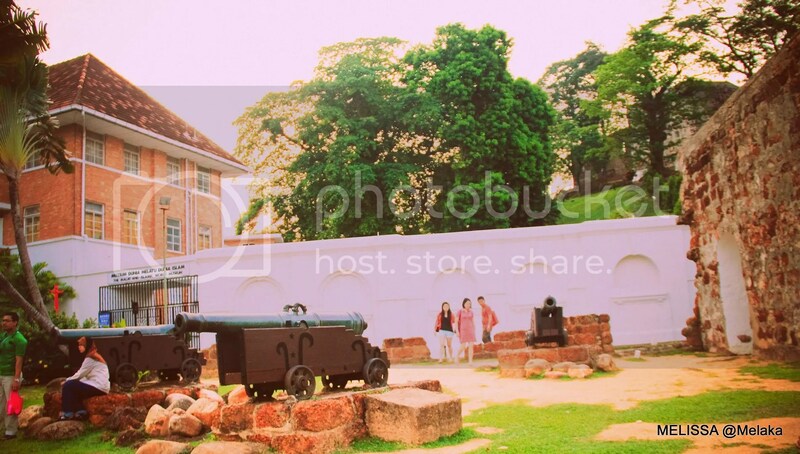 The Stadhuys at the heart of the historic quarter of Malaka. 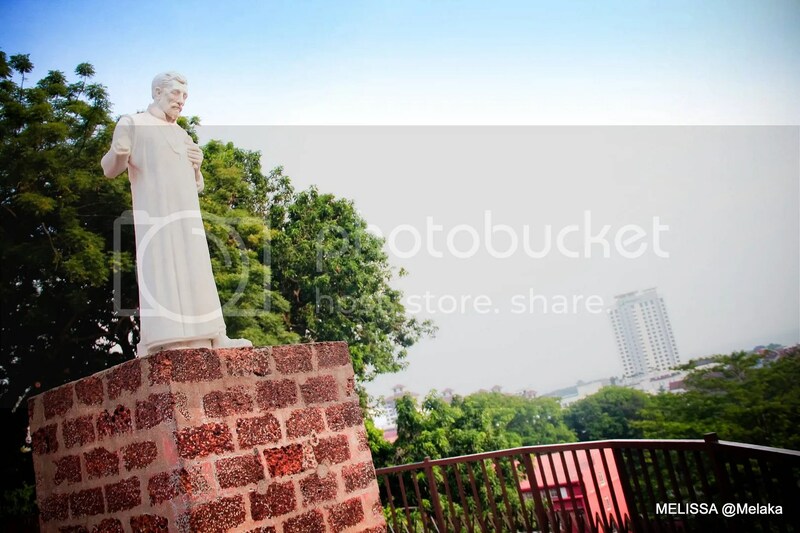 St Paul’s Chuch is the church ruins located on top of St. Paul’s Hill. It was originally built in 1521, by the Portuguese. 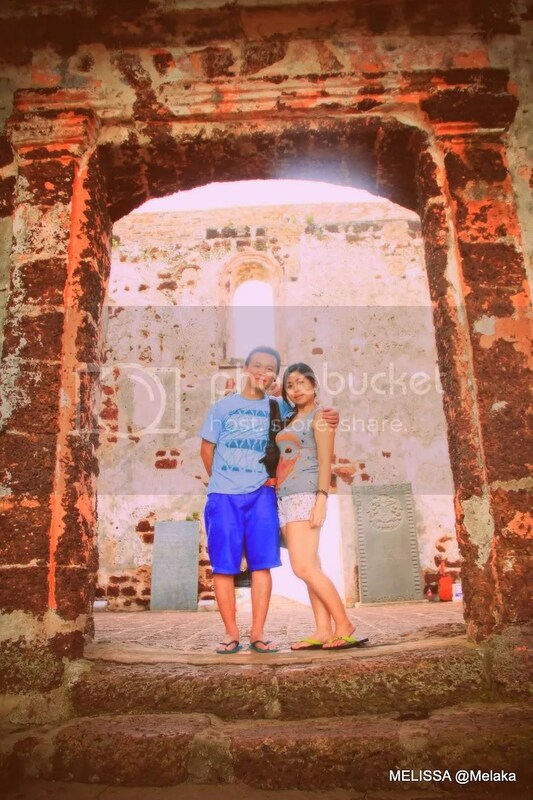 It became a fortress in 1567, until 1596. After the Dutch siege it became St Paul’s, before it was known as Nossa Senhora da Annunciada (Our Lady of Annunciation). It has been used as a burial ground for the Dutch. 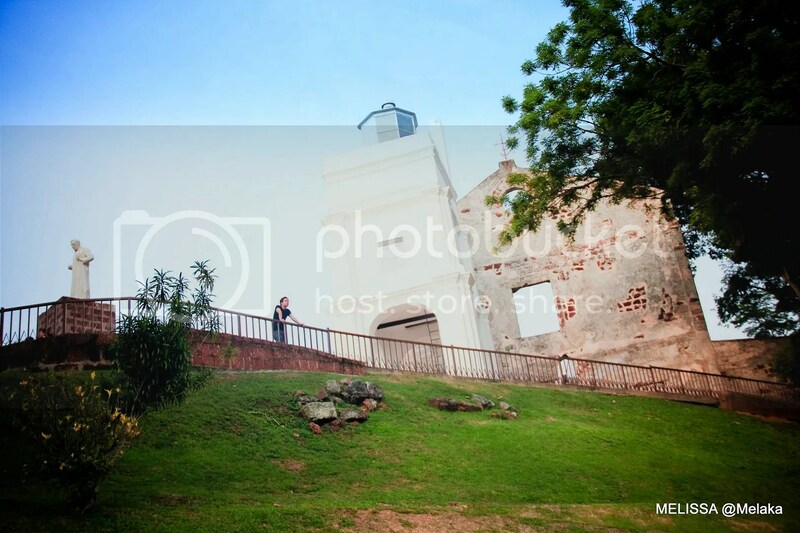 View from St. Paul’s Church; Melaka town, Menara Taming Sari, the sea…and did you spotted a Star Cruise? 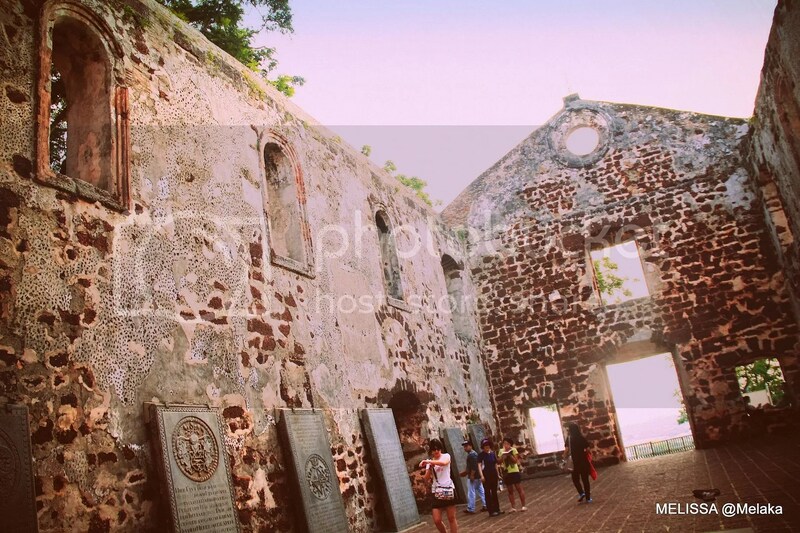 Interior of the church with Old Portuguese tombstones leaned against the wall. 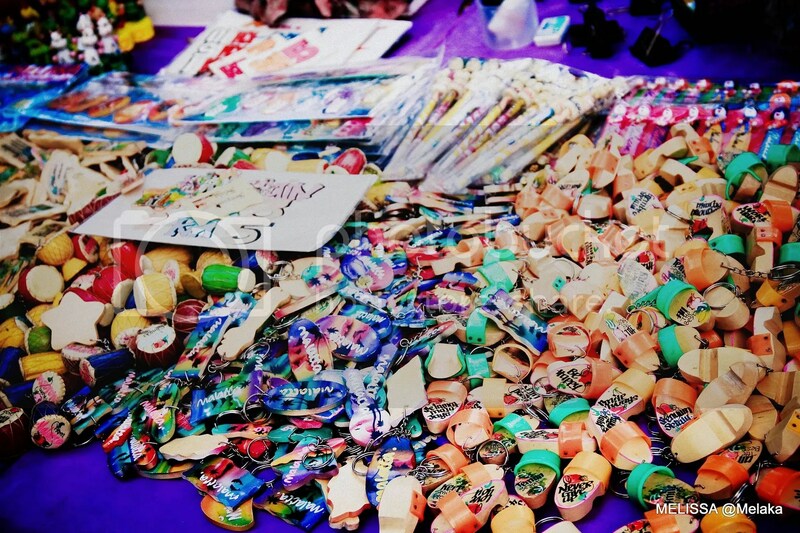 Ahh…do you recall these? I used to buy it as souvenirs for my friends. You can request to write names or any wordings as long as the space is sufficient. 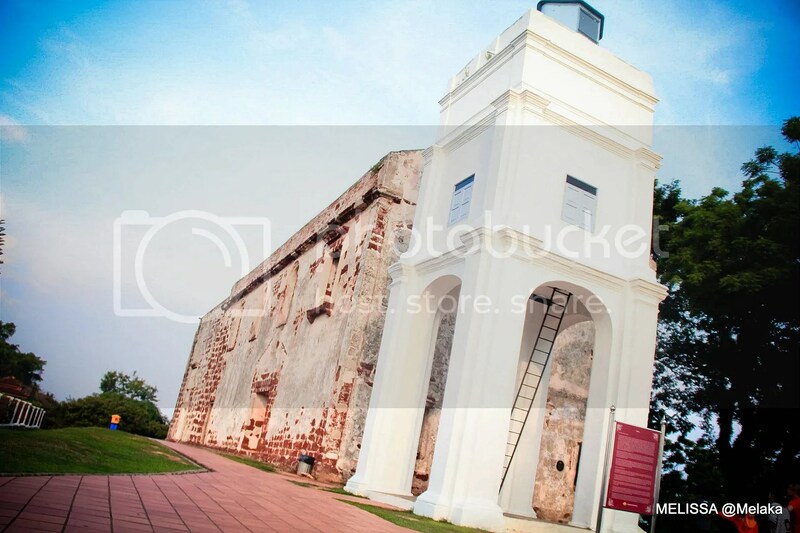 Remains of the old Portuguese fort A Famosa around St Paul’s Hill. Then we walked to Menara Taming Sari with the fare of RM10 (for Malaysians) The 110 metre viewing tower was designed based on the legendary Taming Sari Keris. 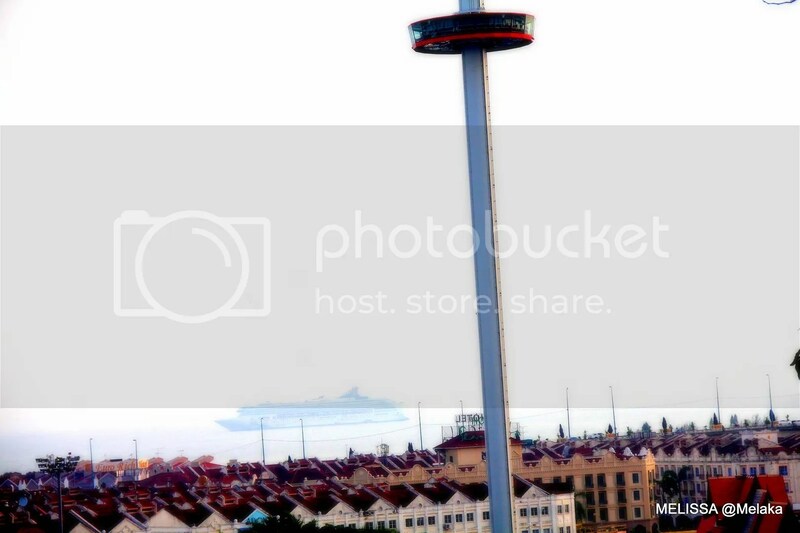 It will be the 1st tower in the country to have a fully revolving structure. 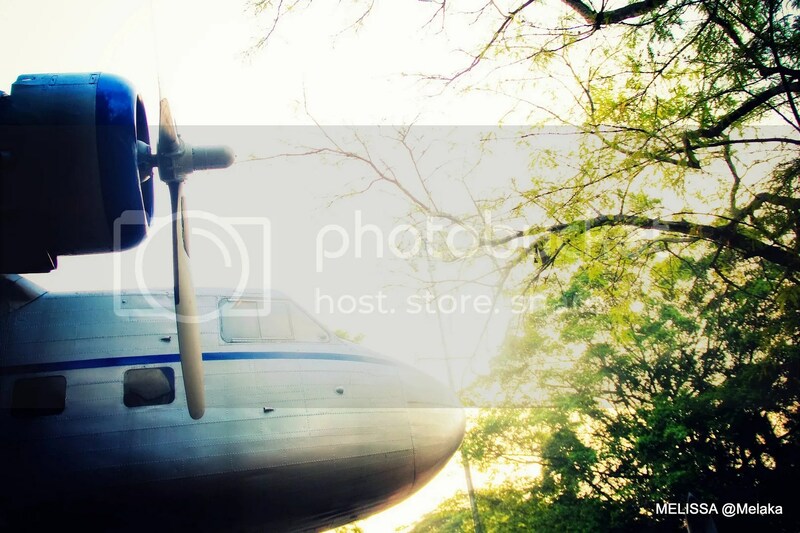 The air-conditioned viewing cabin will be able to accommodate 66 people at one time. 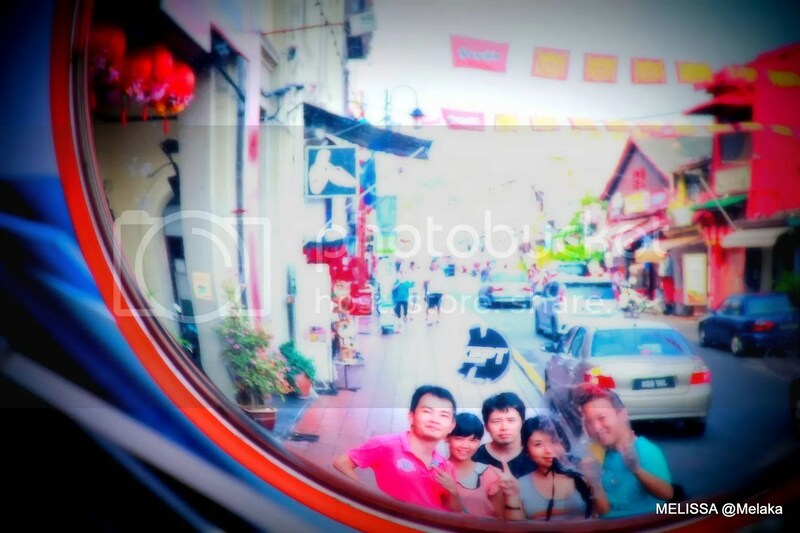 And my friend bought this group photo for RM35! Huhuhu…. We were all quite exhausted walking the whole day..lazy to walk back to where we parked our car. 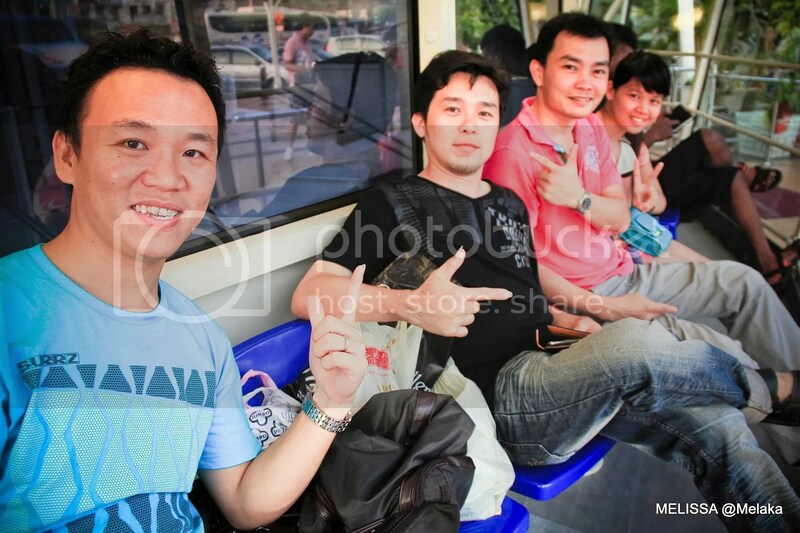 Moreover we would like to experience the trishaw ride. 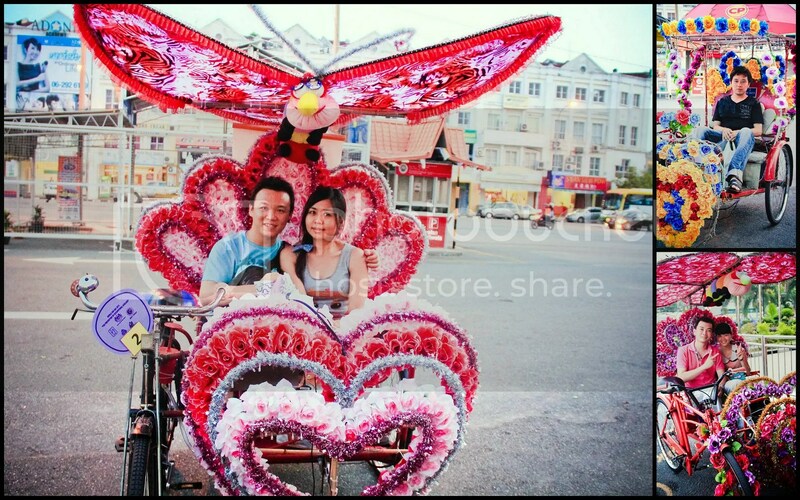 I’m impressed on how they decorated their trishaw. Looks like wedding car. LOL!! A ride from Menara Taming back to The Stadhuys, the fare was RM15. During peak season, they’ll doubled the price! 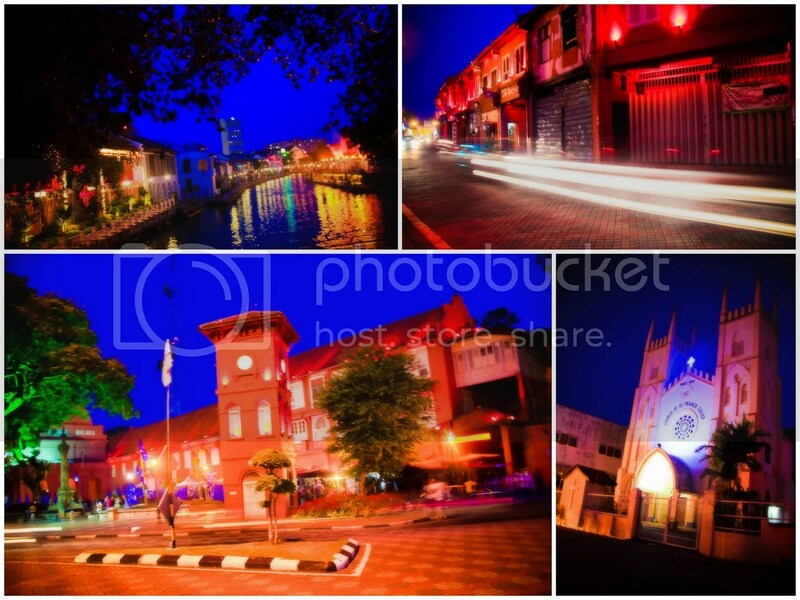 Night scene of Melaka River, The Stadhuys, St. Francis Xavier’s Church. wah. u really played the tourist role in full swing. 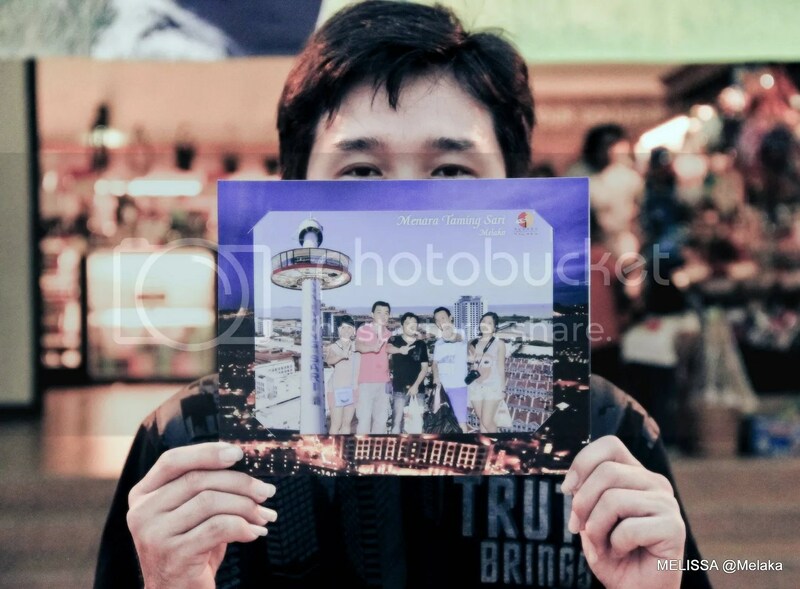 last time i went, i mostly spent my time in d shopping malls, really cannot tahan the heat. Yea…its often crowded esp. during holidays. itu famosa chicken rice is for tourist one..
Wahahah! 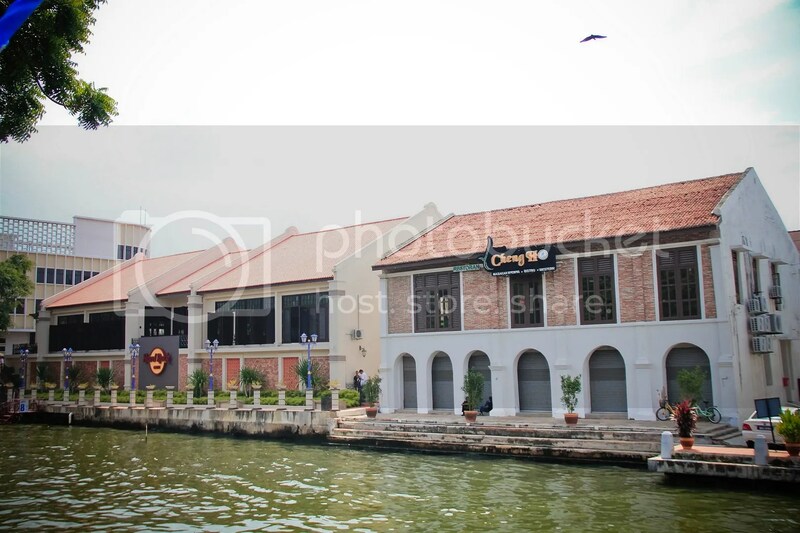 Lao Qian…Lou Chin…yawor…nvr thought of it oso! 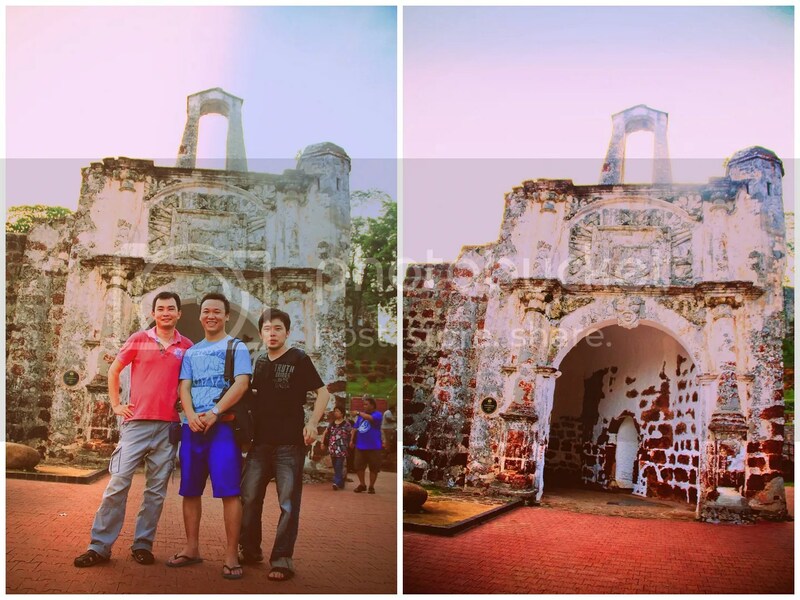 Sumtimes quite fun to play tourist oso hor…. 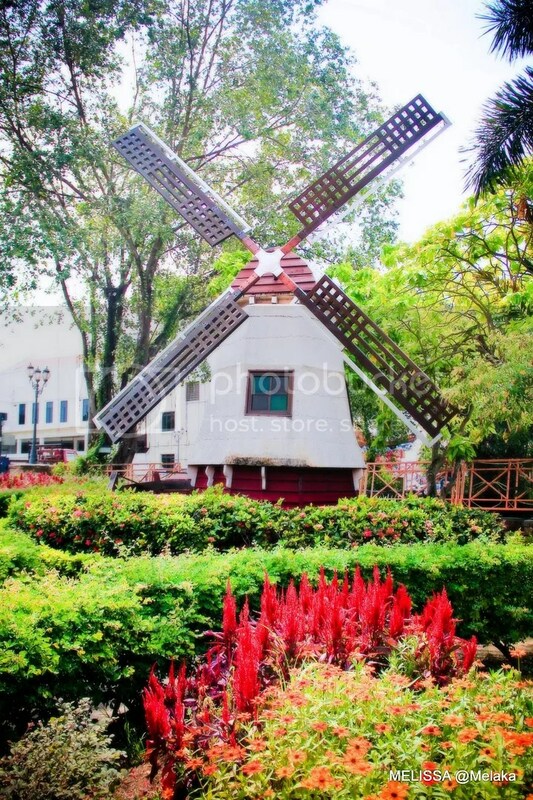 Is that a windmill in Malaysia? 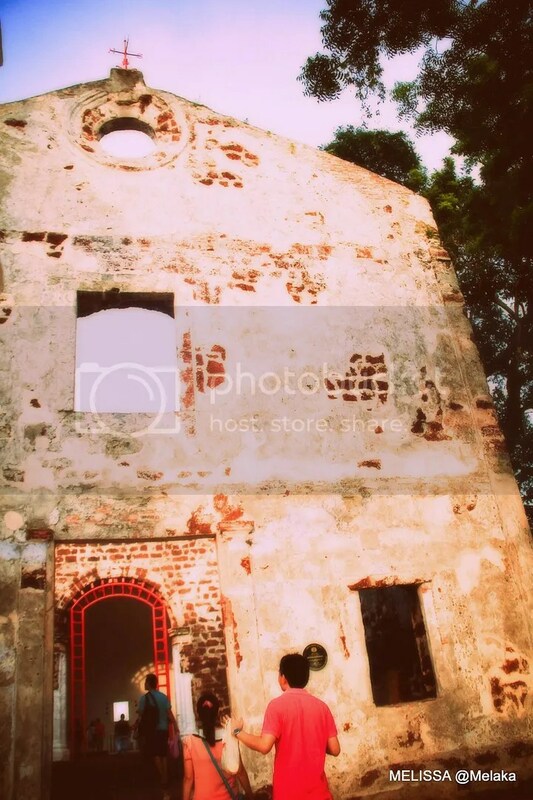 Been to Melaka a few times already, never had the balls. Must make it a point to try next time. Didn’t drop by this time around – went to Seremban instead. Nvr had the balls?!!! LOL!! 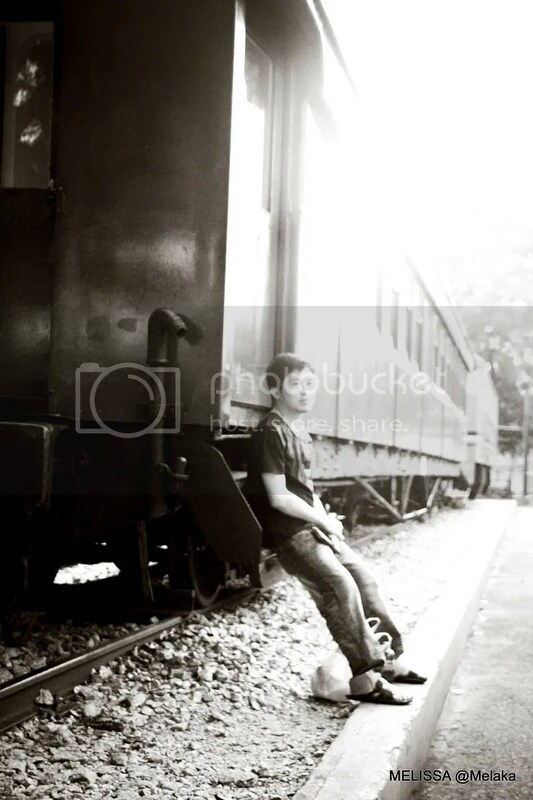 Tak macam u wor…..